Check out our media section for videos of our latest performances. 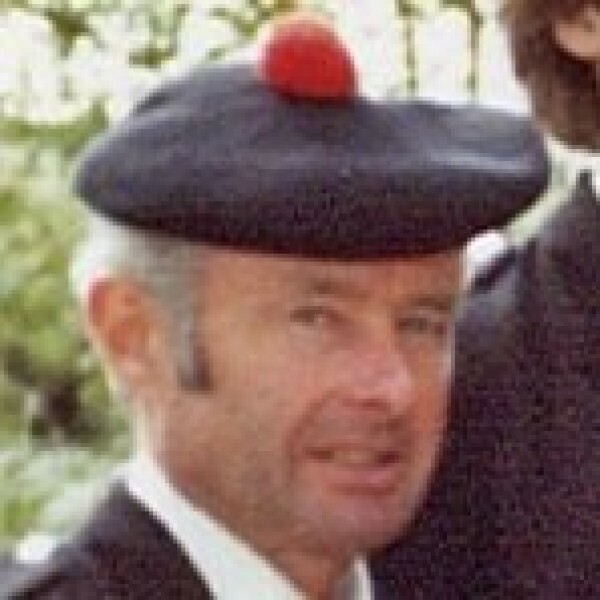 The Simon Fraser University Pipe Band was formed in 1966 during the university’s inaugural year. Over the years it has become a respected institution in the community and has brought fame to BC with its capture of national and international prizes. 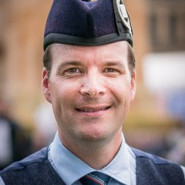 Led by Pipe Major Terry Lee and Lead Drummer J. Reid Maxwell and wearing the Simon Fraser University Pipe Band tartan, the band consists of a talented core of over forty-five players. In 1982, the band won the Grade 1 North American Championship, the top prize on the continent. In August 1995 at Glasgow, Scotland, the band captured the ultimate prize on the globe, the Grade 1 World Pipe Band Championship. A year later, the band returned to Scotland and captured the title again, becoming the first pipe band from outside the United Kingdom to win the World Championship more than once. In 1999, the band regained the World Championship title, winning the World Drum Corps Championship in the process, and followed that up with another Worlds win 2 years later in 2001. 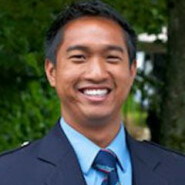 In 2001, SFU also won the Australian Pipe Band Championship during a tour to New Zealand and Australia. In both 2008 and 2009 the band won not only the World Pipe Band Championships but also the World Drum Corps Championship. During the band’s trip to Scotland in August, 2009 the band recorded the album “Affirmation”, at a sold-out, standing room only, Glasgow Royal Concert Hall. In all, the band has produced twelve recordings and three concert/documentary videos. In June 1996, the band released its first live album, “Alive in America”. On February 20, 1998, the band performed in concert at Carnegie Hall, New York City. This concert marked the first time a pipe band has performed a concert at this prestigious venue. This debut performance was recorded and released in June 1998 as “Simon Fraser University Pipe Band – Live at Carnegie Hall”. Both these concerts are captured in the band’s videos “The Legacy: The Road to Carnegie Hall and Beyond” and “Alive in America – The Concert”. In April 2001 the SFU Pipe Band recorded a CD live at the Sydney Opera House in Australia, “Down Under”. After this string of 3 live recordings in different parts of the world, the band decided to do things closer to home and produced two recordings both in studio and in front of a live audience at SFU in 2005. These were released as “On Home Ground, Volumes I and II” in 2005 and 2006. 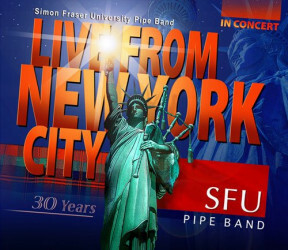 Most recently, SFU recorded Live in New York City from the Lincoln Center. In 2013 Terry Lee led the band to the World Championships for his final time. 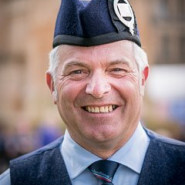 Alan Bevan took charge the following year with Jack Lee remaining Pipe Sergeant and Reid Maxwell as Lead Drummer. 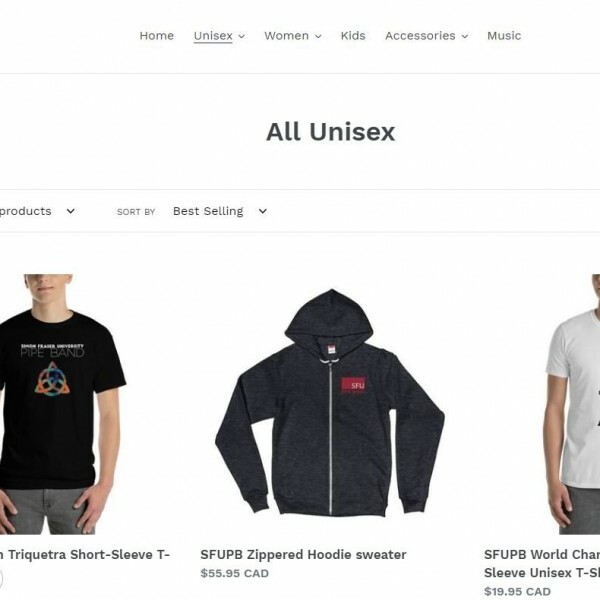 Throughout its history, the Simon Fraser University Pipe Band has done its best to bring the University, British Columbia and Canada the best of pipe band performances to the world stage. The university motto truly indicates this determination: Nous Sommes Prêts (We are Ready). 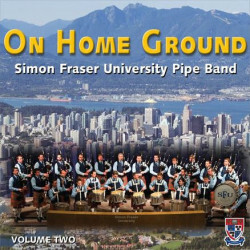 This CD celebrates the 30 year anniversary of the SFU Pipe Band. Recorded live in New York”s Lincoln Center and captures SFU at its best. This is the recording made the Wednesday before the band captured its 6th World Pipe Band Championship, and 4th World Drum Corps Championship! 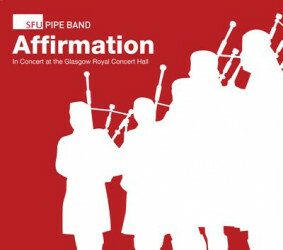 Recorded live in Glasgow’s Royal Concert Hall, it features the SFU Pipe Band in stunning form. The second of 2 albums recorded live and in studio at home at SFU in June of 2005. Includes the superb “Hourglass Suite” and “Emancipation” in its full form. The SFU Pipe Bands competes in many events throughout the year. The band travels regularly and competes often at various locations within Canada and the United States. On certain years the band may travel oversees to Europe, Australia or New Zealand. The band has consistently placed in the top three in world competition and has won the Grade One World Pipe Band Championships six times, in 1995, 1996, 1999, 2001, 2008, and 2009. 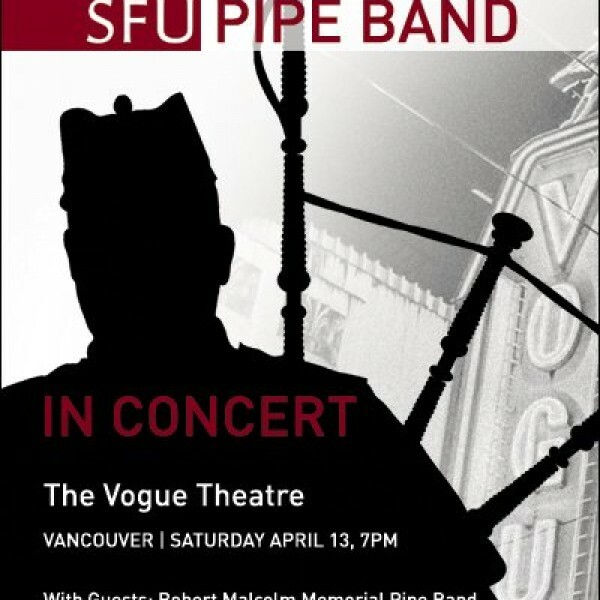 SFUPB is one of only four bands located outside of the United Kingdom that have won a World Pipe Band Championship. In addition, the band has placed second nine times. The band placed in the top three at the World Championships for 14 consecutive years up until 2012.